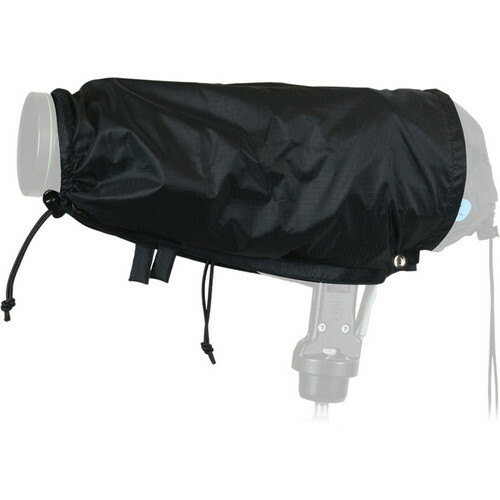 The Camera Duck ASLR1B Telephoto Sleeve (Black) is deigned to fit over a Camera Duck Standard All Weather Cover. It works with a D-SLR camera with a lens over 200mm. The sleeve is made from ripstop nylon with a drawstring closure. Install it over the all-weather cover and be ready to shoot in seconds. Box Dimensions (LxWxH) 6.0 x 6.0 x 0.75"
Telephoto Sleeve for D-SLR Camera with Lens Over 200mm (Black) is rated 4.0 out of 5 by 1. Rated 4 out of 5 by Sandee from It's good, but hard to get use to. I had trouble getting the sleeve to work for me. I'm sure with practice it will provide great protection for my camera.